Makerere University students are known for loving beautiful places where they can access quality things at the cheapest affordable prices. From bars, clubs and restaurants like Urban Pizza, the Ivory campusers have always rocked those classy places mainly to give their friends and lovers a memorable date and hanging outs. They are known for storming these areas in big number and hence increase the sales of those places. Couples are seen seated inside this nice looking restaurant whereas other with Pizza boxes moving around campus. The current home of Makerere University students most especially those dating is Urban Pizza, a home for cheap, quality and tasty pizza, chicken and other food stuffs. 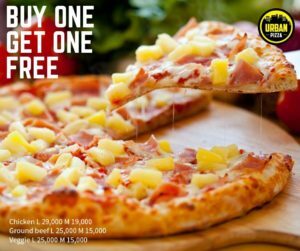 Urban Pizza which started as a small pizza junction area has attracted hundreds of campusers and nearby non students to an extent of sending other customers to others. Unlike other pizza junctions in Kampala, Urban Pizza’s strategic location just next to the main campus has enabled it to dominate the pizza selling business in the capital most especially among the Youth. Urban Pizza is located just next to Total Petrol Station near the Wandegeya market. 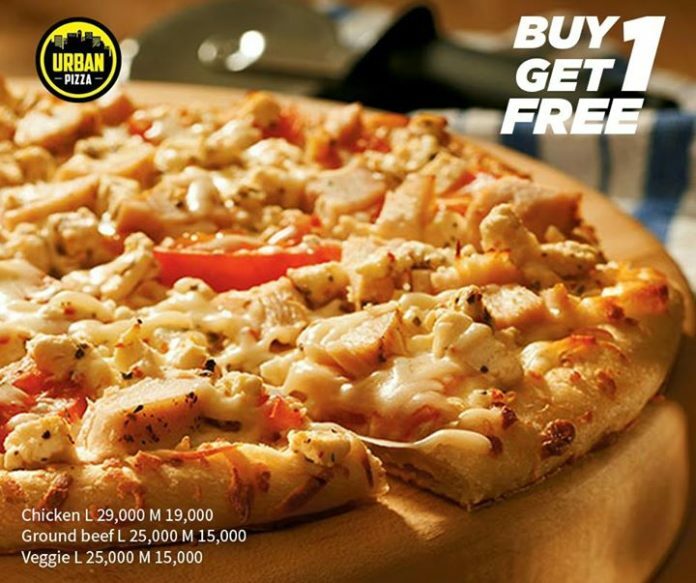 Take a friend for a big piece of Pizza at Urban Pizza.